What does our hand writing say about You? 2019 Diaries, Calendars and Year Planners JUST ARRIVED ! Take a Look at our New Delivery Van ! Take a Look a our New Delivery Van! Feeling rather chuffed with our new #stationery delivery van. If you spot it round and about in the Forest of Dean, Gloucester, Monmouth, Hereford please post a pic on our Facebook page and we’ll send you a gift! 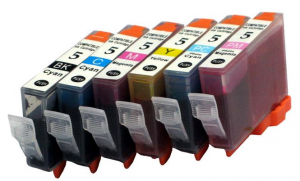 Paying too much for Printer Inks? As part of our 40th Anniversary Celebrations we have a massive Promotion on Printer Inks. If you are buying your inks elsewhere and let us us quote you, we will send you a smart 40th Anniversary Pen and the chance to win a Canon Printer! Contact us now on Tel 01594 810081 or follow this link to enter your printer info . This offer is open to the general public as well as businesses locally and the rest of the mainland UK. Our own fleet delivers to the Forest of Dean, Gloucestershire, Chepstow, Newport, Monmouth, Ross on Wye and Cheltenham. Deliveries made out of this area will be by courier or post if its something small.